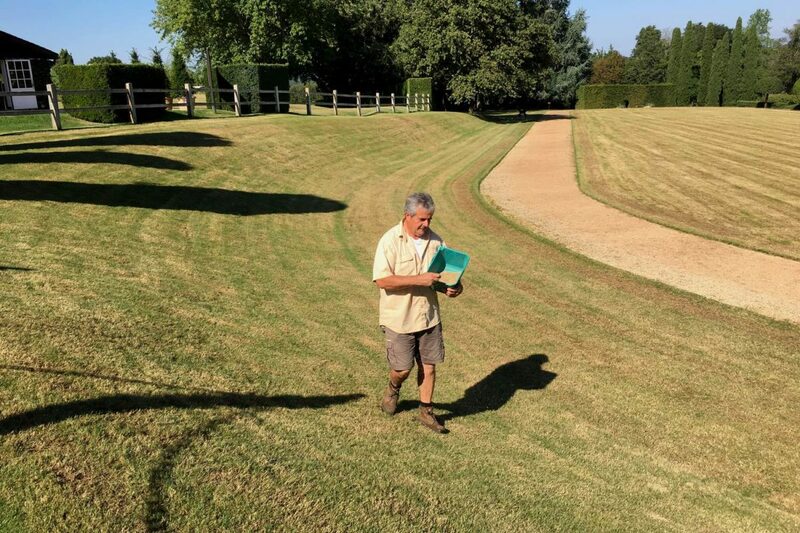 A garden such as Eyrignac requires daily maintenance and constant care, clipping trees and shrubs with shears, lawn maintenance, finishing touches… Throughout the year, the six gardeners mow, rake, edge the lawns, trim and scarify… so that this French garden stays pristine every day of the year! 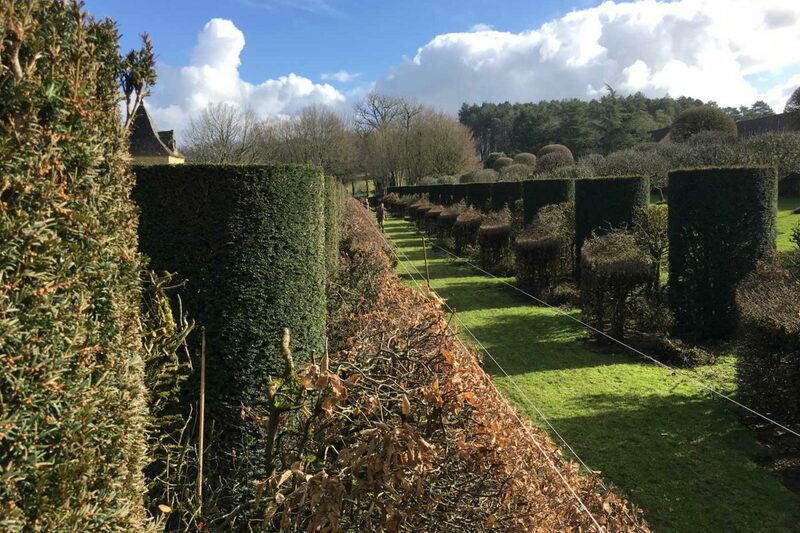 Spring : time for the first trim…. The gardeners resume the weekly mowing of the lawns, redifing their edges by marking them out with string and then cleanly cutting with a spade, repeating the process once a month until the autumn. The integrated sprinkler system has to be reinstated. It is also necessary for them to manually weed and plant summer flowers (about 3000). Spring is also the time for the first trim in the garden. Hornbeam and ivy are the first to submit to the expertise of our gardeners and their shears ! Summer : all attention is on the finishing touches ! The clipping continues. The yews and box are clipped for the first time while the hornbeam and ivy undergo further clipping. 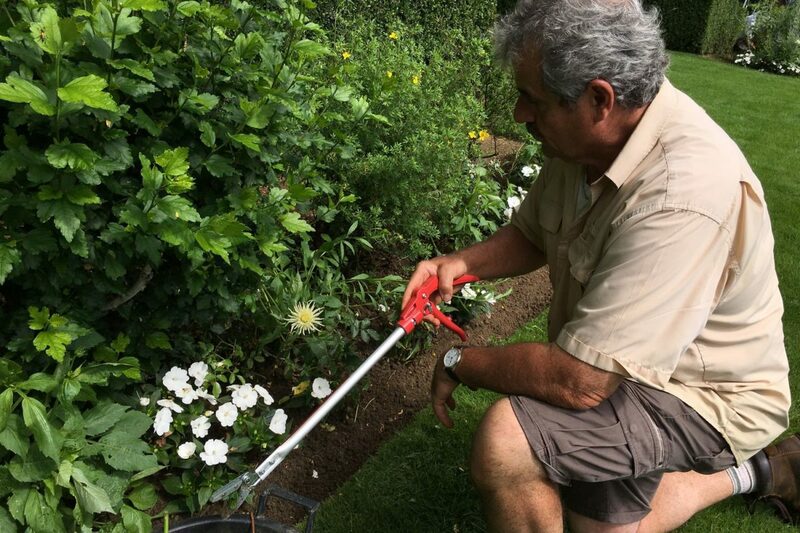 The gardeners edge the lawns once a month with an edging blade and remove faded flowers with secatures every 15 days. During periods of intense heat it is necessary to pay great attention to the lawn and adapt the watering accordingly. Watering is done by hand for areas not equipped with sprinklers and flowers in plant pots. Autumn : we rejuvenate the lawns. After the last mowing it is time to scarify the lawns. It removes the thatch and any rubbish which has gathered on the surface. Then organic matter (manure, seaweed) is applied and sand to aerate the turf as well as compost to fertilise the lawns. It is necessary to start picking up the dead leaves and to consider planting spring bulbs to brighten the garden for the following spring. Winter : time for major work. It is time for the main clean-up. In the garden, leaves must be collected and everywhere has to be weeded as well as making the site safe (remove dead wood, pruning …). It is also necessary to clean-up the surrounding areas (leaf-blowing, strimming, shredding). The gardeners produce their own compost using plant prunings and grass cuttings from the garden and take the opportunity to service and overwinter their equipment. 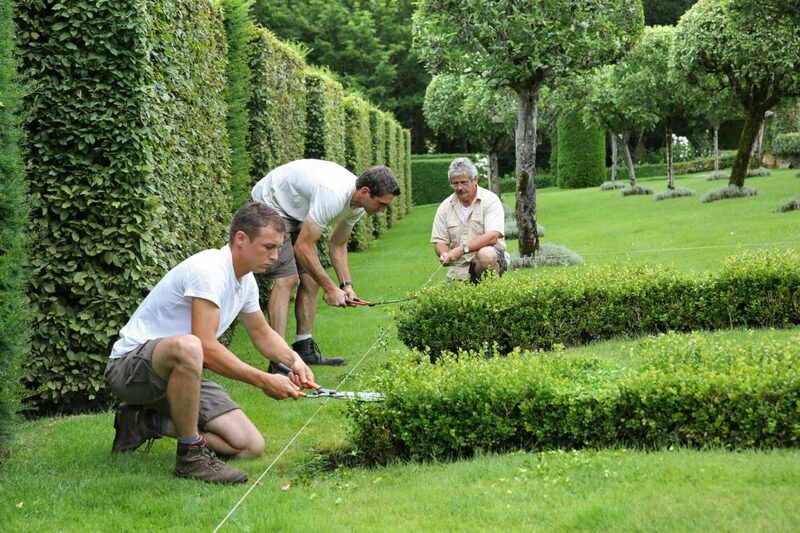 This is also the perfect time to reshape and clip the main hedges. On the heights of Périgord Noir, near Sarlat and Lascaux, Eyrignac and its gardens are a haven of serenity. This historic family monument from the 17th and 18th centuries is open all year round.